I've never been a big fan of making new years resolutions. First off, I feel like if you're going to do something, then just make a plan and do it. There's no need to really wait for a new year to start anything. But, we all know that with a new year comes those huge thoughts of "what can I resolve to do this year?" and "what are some of my goals for this next year?". Today, while attending my usual Sunday mass, our priest stood up to do his homily and I have to say, it spoke right to me. He started off by admitting that he, too, was not a fan of resolutions. He went on to share how many times, when we make these "resolutions", there's actually a greater rate of failure. Resolutions often go by the wayside after a few weeks or months. And then he said something that completely shifted my focus for the coming year's goal-setting. He encouraged us to focus instead on "aspirations" rather than "resolutions". He went on to explain how when we think about what kind of person we want to be or aspire to be, and who we are called to be, that this results in true transformation and change within ourselves. I started thinking about all of the areas of my life I could apply this new concept of setting new years aspirations, and what that might mean for my day-to-day life. 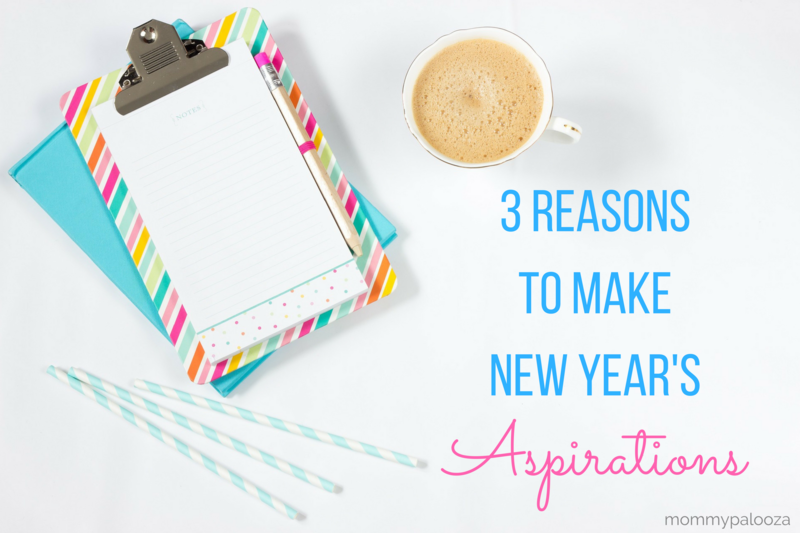 I've come up with 3 main reasons that making aspirations (not resolutions) are the better option. Aspirations are more realistic // Think about how many times you or someone you know has set a new years resolution to lose weight. Now, I have to be honest and share that although I've never personally made this a resolution or a goal, I do know of many people that have. And of those people, I can't honestly think of a single one who brought that resolution to fruition. So, consider some reasons one would set weight loss as a resolution or goal. This could be for overall health, to feel better, or any number of reasons. Imagine instead, taking that reason (whatever it may be) and framing it as an aspiration. So, for example, "I aspire to take better care of myself and my health", is much more realistic than "I resolve to losing x amount of pounds". Let's say as part of that aspiration, that you join a health club or seek out a personal trainer in an effort to be more active. You might actually lose weight in the process, so at the end of the day, you ARE in fact meeting the goal of weight loss, but the approach is much more realistic. Aspiring to become a healthier person, mind, and body, is so much more realistic. Aspirations are more attainable // In using the weight loss sample mentioned earlier, it's easy to see that in addition to being more realistic, aspirations are more attainable because they allow for imperfection. The idea behind setting aspirations is consistent effort, not necessarily some precise result, like how many dress sizes you go down. Let's face it, life sometimes happens and gets in the way of our grand plans. When you have a resolution, the moment you come to a hurdle, you'll often feel defeated - like you failed at your resolution. But, with setting aspirations, you can bounce back from setbacks easily, readjusting your action steps as needed, all while keeping focus of your aspiration - what you're trying to attain. - What do I see as my greater purpose? - What do I feel called to do? - Who am I called to share my gifts with? - What are some of the things that bring me joy? 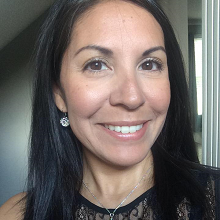 So, for example, one of the things that jumps out at me right away is that lately I have been feeling called to lighten the load and stress level of managing my household. That is going to involve me setting up systems in place that keep me organized and feeling like I have an efficient running household. I really aspire this year to create a sense of calmness and simplicity within my home. If I frame my thoughts this way instead of making a resolution to "get more organized", it is much more meaningful to me, personally. I'm able to reflect on why I want to make changes to this part of my life, and that makes me more invested in the entire process. I am so very grateful that I attended the mass I did today so that I could hear how this wonderful notion of setting new years "aspirations" can be so impactful. It has truly made me excited and hopeful for the year to come and all that I aspire to be throughout the coming months. I hope that you've also taken away some bits of wisdom in helping you on your journey to living a more fruitful life. I'd love to hear some of your aspirations in the comments below. Aspiration are meaningful and are achievable but resolution work for few days or mostly fail to follow resolution. I would stop making resolution and start making aspiration as I got to learn many thing from this article and would follow.